And again…sometimes the simplest things make the most sense. Or create the most happiness. 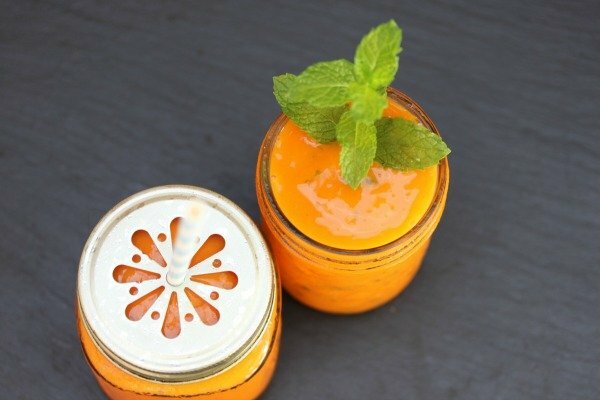 And are the most refreshing.Take this Carrot Smoothie – it is exactly Sunshine In A Glass. For only having four ingredients, you’re going to be fighting the kids off. And the other grown-ups. Carrot juice is way high in antioxidants (the wonderful things that fight aging…yes aging…) And it’s most well-known for being super high in vitamin A. It’s also naturally so sweet, you can use it to sweeten other dishes or sauces, without using added sugar. Blend the ingredients at high speed, in a blender. Thin with a bit more juice or water, if necessary. *Don't have a juicer: Buy fresh-pressed carrot juice OR steam carrots then puree with honey. 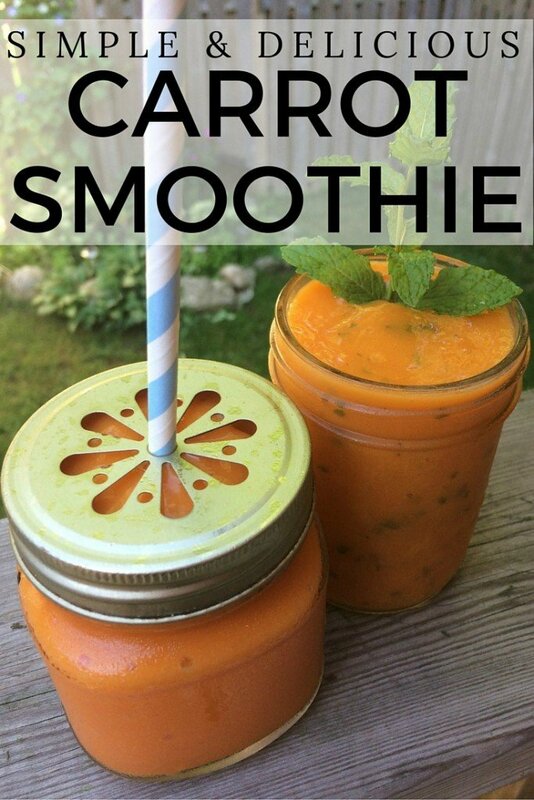 If you enjoyed this carrot smoothie recipe (with or without a slip of vodka! ), please share it on Pinterest! And if you’re looking for more healthy recipes to add to your weekly menu plans, please follow our Food board where we share all kinds of great ideas!